Headed for the West Coast of the United States for business or leisure? Chances are that you are going to either Los Angeles or San Francisco. If you are going to the latter, you are well advised to consider the following boutique hotels for your ultimate luxury experience. This hotel is located at the Post Street of San Francisco. A stay here will set you behind US$135 per night. The hotel bills itself as the place where East meets West. In fact, it is located in the Japantown section of San Francisco. Amenities you will enjoy in the hotel include; Zen gardens, herbal bath salts, Japanese soaking tubs, furniture made of rice-paper shoji panels and carpeting among others. The hotel is located near Asian boutiques, sushi bars, Japanese restaurants, Union Square, and Japan Center. Located on Geary Street, the Clift Hotel's guestrooms are decorated with silk, velvet and leather. You will enjoy facilities such as Bose docking stations, turndown service, high speed internet, the Redwood Room Bar, and a fine dining restaurant. Nearby attractions include; Embarcadero, Union square, Moscone Convention Center and AT&T Park. For US$159, you will get to stay in this fantastic hotel located on Greary Street of San Francisco. Among the facilities available for guests use at the hotel include; 32-inch flat screen TV, iPod docking stations, wireless internet, bathrobes, 24-hour business center, public lounges and evening Sake Hour. A stay at this hotel will set you back US$ 139. You will also get to use facilities such as fireside receptions, 24-hour business center, freshly baked cookies, iPod docking stations, pay per movie, flat screen TVs and custom designed furnishings among others. For US$199, you are welcome to stay at this European style hotel. It offers its guests the use of facilities such as flat screen TV's, turndown service, down pillows, triple sheeting, wireless internet, complimentary newspapers etc. Nearby attractions include; arts, dining and shopping centers. 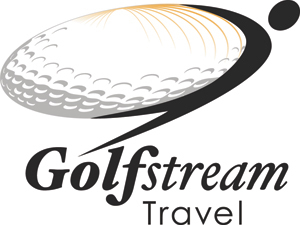 Golf Stream Travel will help you plan your trip to San Francisco.